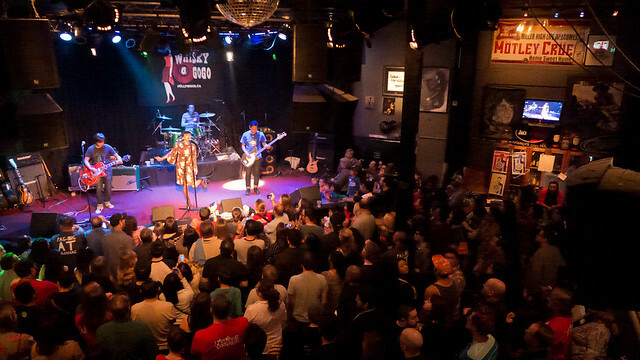 Moonpools and Caterpillars perform at The Whisky A Go Go for Philippine Typhoon Relief. Yeah, I know...you're probably tired of me talking about this band but Moonpools and Caterpillars are one of my favorite bands ever. Seriously, if you haven't listened to their 1995 debut album Lucky Dumpling, then I suggest you give it a hear and hopefully you'll love them as much as I do. Anyways, after a long six months, Moonpools and Caterpillars have reunited once again for another special cause. This time, it was to help disaster relief efforts in the Philippines which was devasted by Typhoon Haiyan which hit the islands back in November. The show raised exactly $21,336.75 with a secret sponsor matching all ticket sales with 100 percent of the proceeds go directly to the Philippine disaster relief. Back in July, the original members consisting of Kimi Ward Encarnacion, Jay Jay Encarnacion, Tim De Palma and Gugut Salazar performed together for the first time in 15 years for Ethiopia Health Aid, a charity show that raised over $25,000; money used to ship donated ambulances and bring medical supplies as well as educational resources to villages in Ethiopia. 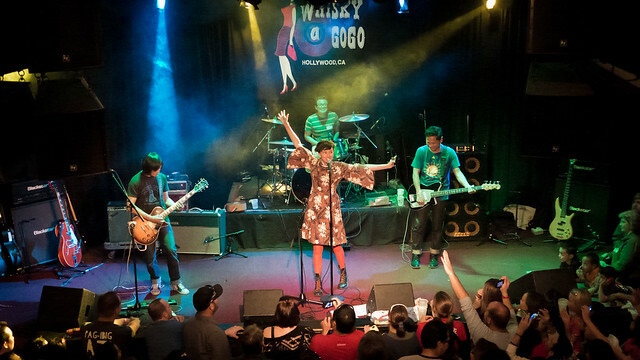 Moonpools and Caterpillars: Jay Jay, Kimi, Gugut and Tim waves to the sold out crowd at The Whisky A Go Go. 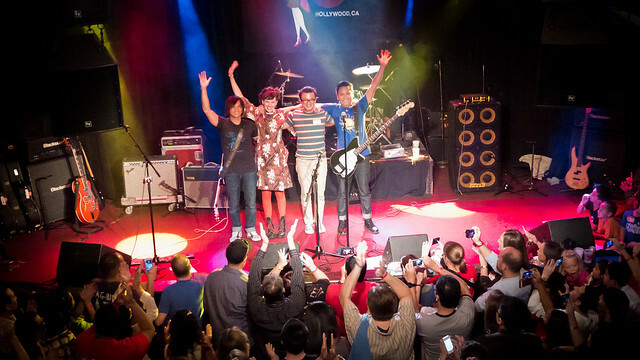 On Saturday, Moonpools and Caterpillars returned to the scene of their very last show back in 1998 - The Whisky A Go Go which also donated the venue. 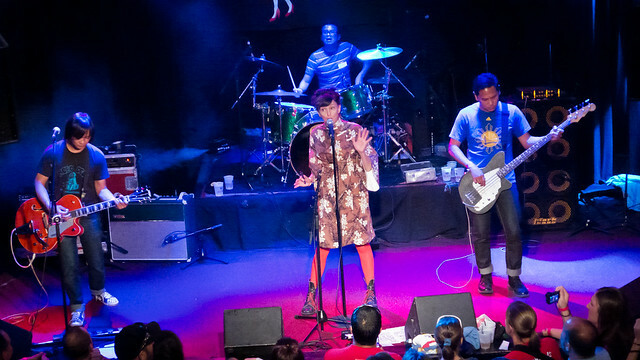 Dubbed the "Lunchtime Rock Show for Philippine Typhoon Relief," the afternoon concert featured original Filipino fusion food from White Rabbit as well as Gus' Vegetarian Tacos.